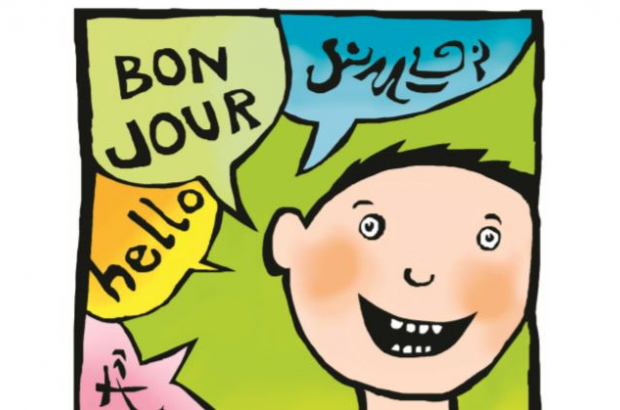 In a country where many people effortlessly switch between their national tongues, and myriad languages can be heard among the huge expat community, deciding where and how to educate your children raises the question of which language to choose. But even if such stories hold enormous appeal in a world where careers are often enhanced by language knowledge, parents have many questions. Will my child confuse languages? Will they make friends? Will they lack depth in any language? How will I help with homework? Will they struggle with their identity? The advantages of bi- or multilingualism include future career prospects, openness to other cultures, the ability to learn yet further languages, integration into communities and, according to many studies, cognitive benefits as more languages open up more neural pathways in the brain. This can be overcome by maintaining the language (or languages) of the home. “You can talk to them in your own language about what they’re learning at school. In that way you can feed them vocabulary. Reading in their first language – both fiction and non-fiction – is also very important,” he says. To avoid confusion, parents should stick with their own language with their kids. For younger children it helps them to separate, and it gives older ones a solid basis to understand concepts in the new language. “To the greatest possible extent, don’t mix, especially with young children who are still learning the basics of their language. Keep it to one person or situation, one language,” says Housen. When it comes to homework, this shouldn’t be a cause for concern. Eldridge says children shouldn’t be given homework they’re not capable of doing themselves. “Parents should talk carefully with the teacher. The school has to be willing to deal with a family that has other languages." In practice, of course, there may be many times your kids get homework they cannot handle. This, and many other issues, comes down to the school. “A big question is whether the teachers are sensitive to and knowledgeable about the specific characteristics and needs of bi- and multilingual children, who sometimes go through a ’silent stage’ in the development of their new school language,” says Housen. He and Eldridge agree that the only cases where it might not work are where the child is older and has little time to achieve the competence they need for successful grades. Even then, some children surprise everyone. Eldridge talks about a Japanese student with “pretty much zero English by grade 10” who achieved 36 points on her International Baccalaureate – comfortably good enough for university admission. As for the depth of language, studies show that bi- and multilinguals will have a lower vocabulary in each language. “Young bilingual children typically lag behind the monolingual but will eventually catch up, particularly as far as the grammar and phonology are concerned,” says Housen. “But bilinguals will always lag behind in vocabulary, at least when compared to a matched monolingual. Rather than, say, 30,000 words in one language, they may have only 25,000.” Of course, he adds, they will have 25,000 words times two. There are plenty of opportunities in Belgium’s schools for children to acquire more than one language; certainly for parents of younger children or those staying here longterm, the initial issues would seem, with care, to be surmountable. “If you are mobile, the big advantage is quite simply to become bilingual,” says Eldridge. There are no bilingual public schools in Belgium and the majority of children go to public schools. Therefore how can bilingual education work? The education is more about immersion education than bilingual. Posts are very impressive, very thank you.